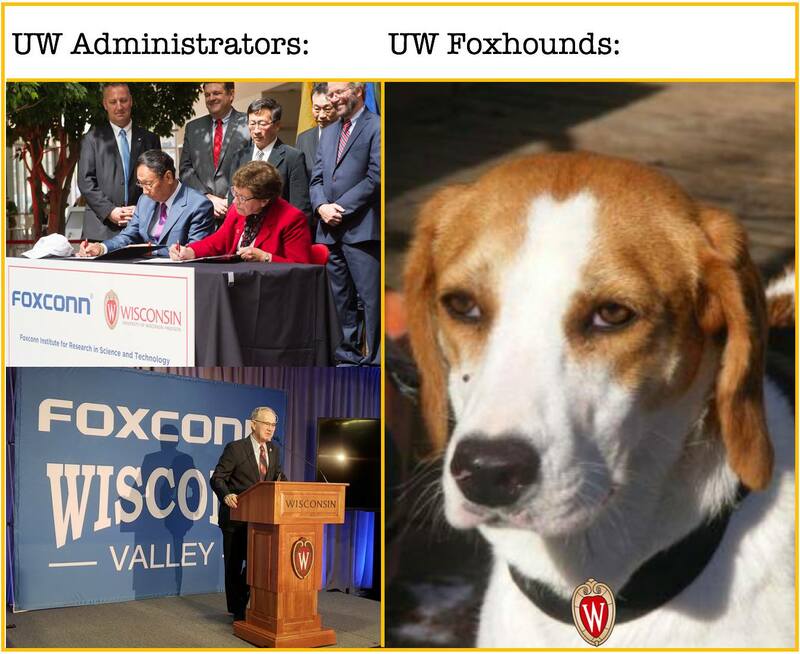 The Anti-Foxconn Caucus met to strategize around upcoming events concerning Foxconn’s presence on the UW campus, as well as our broader goals for organizing, media, and outreach. We will begin preparing questions for the upcoming Board of Regents meeting, as well as coordinating with other TAA committees to ensure graduate student concerns are addressed. In terms of longer term organizing, we will be launching weekly canvassing efforts, and building connections with other political organizations and student groups, both on and off campus. We also discussed possible actions to rapidly increase the visibility of the issue. Finally, we made some concrete goals for kick-starting a social media presence and drafting a position piece. For more information, please email us at foxhounds@protonmail.com.